I purchased my iPad last year “for work” and I love it and the children I work with love it. It rarely leaves my side. I don’t think it can replace real objects/ interactions and indeed it shouldn’t; but it is a useful addition to any therapy kit. Both Helen and I are trying to find a good range of apps to use with all the different children we work with. We have both previously talked about different apps we have come across and find useful. 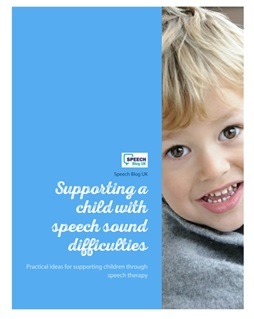 But today I wanted to write about a different challenge; using the iPad with children with behavioural issues. I have yet to come across a child who hasn’t enjoyed a game or motivator on the iPad. I have found that for children with reduced attention spans the iPad is great at engaging them. The only difficulty can be putting it away and not letting them use it for the entire session. However I’m sure many of us have children we think would like it, but sometimes wonder how to introduce it. Firstly, I have a good screen protector and a sturdy case on my iPad, to avoid problems with sticky fingers or accidental knocks. So far, so good! The children I have found it more challenging to introduce to are those that are very controlling of a new situation, those that don’t like change and those that get obsessive about technology. I have visions of my lovely iPad being launched across the room! I have found the important thing is to set ground rules about the use of the iPad. These rules must be appropriate for the child’s understanding. For children with a lower level of understanding, I find it best to hang onto the iPad at all times! I also try to cover up the button with my hand so they can’t close the app. With one child it has taken nearly 4 months to get to point where he can concentrate on the games and listen to the instructions without getting cross that he couldn’t have the computer and do what he wanted to. At this point I would put the iPad away, even if he kept requesting it. Each week I would give it as a choice, and he did normally choose it. Initially he would only tolerate 1 or 2 turns in the app I had chosen. Now he is able to demonstrate understanding of 1ICW (information carrying word) of nouns and verbs on the iPad, which he is still unable to do with real objects. He is also able to show an understanding of basic links between vocabulary. Another good tip is to have the app ready if you need to change settings. Nothing is more frustrating for the child than having to wait while you change settings! Also don’t be afraid of holding the child’s hand to guide them, particularly if their fine motor control is poor. For children with more understanding, I may allow them to have the iPad on the table in front of them, but introduce rules such, “Only Elizabeth touches the button”, or “No touching the button”. I also insist that I choose when the game/app is finished; not the child. For those that get overly engrossed, I also work on turn taking and encourage eye contact – this should still be an interactive experience! I have also found for some children that a rule about listening first, touching second, can help. Otherwise they are busy pressing or selecting items and haven’t listened to the instruction or what you asked them to do. So, if you are feeling brave, have a go. I have found the iPad to be a great therapy tool for children of all ability levels. 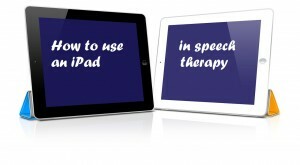 Do you have any tips or strategies when using an iPad in therapy? I have not been paid or asked to write this review. I am just sharing ideas I have found work. Excellent! Thank you. I will try that. Thank you. Sounds like a good idea. Hi Elizabeth! Great post! 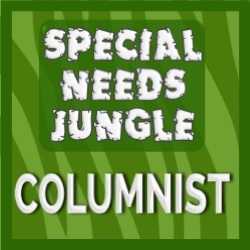 Please check out my website for my list of Customizable Apps for the iPad, for non-English speaking students, as well as children with Autism/special needs. You can also learn more about my Socially Speaking™ social skills assessment App, which is $4.99 USD and a great resource for an SLP to share with the team! I gave an international webinar on this topic on 6/5/13. I will post the video to my YouTube channel, socialslp. 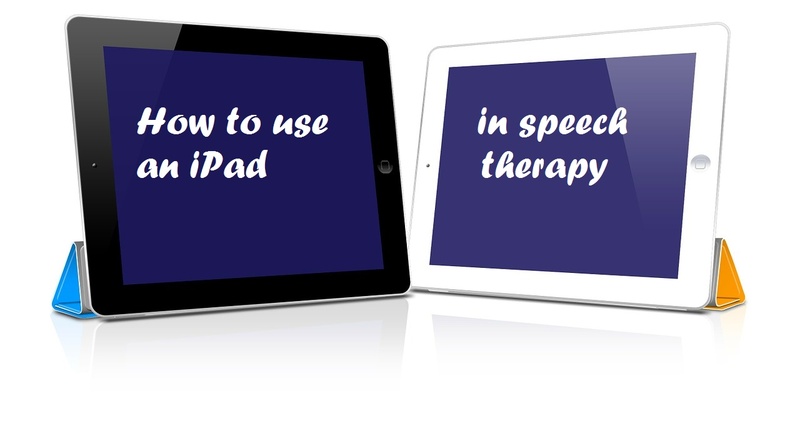 it contains other videos of which iPad Apps I recommend for speech therapists. Good luck! thanks for this review – it really is very useful! I currently work in 4 different mainstream schools per week for a private company and have been considering investing in my own Ipad or Tablet which I can load with loads of apps and also take with me should I ever change jobs. I do wonder if there’s any way of insuring it should it get launched across the room one day as obviously for me (being an NQP), it would be quite a financial investment and that’s what has put me off getting one so far – but I think it would make my life a little easier as I have to carry so much into school daily as is. I’m guessing there are some apps for only Ipad and some for only Tablets? Which one has access to the most apps? Do you have recommendations of general apps and also of which model works particularly well for school children? Sorry for all the questions – these questions are to anyone on this thread or reading this who may have some useful advice and tips to offer. Thank you for your comments! With regards to type of tablet, It really does have to be apple at the moment. There are a few apps on android, but not the specific SLT ones. There isn’t really anything on Microsoft yet. Although iPad’s are expensive, get the biggest memory you can afford as they fill up really quickly! With regards to insurance, I don’t have anything additional, but mine would be covered on my house insurance – you would need to check your policy and make sure it covers items outside of your house as well. I have used mine with a large range of children and generally they find it so engaging they won’t throw it. BUT… If I’m worried, I hold it at all times and if they get too rough they get 1 warning that I will put the iPad away and if they continue, I put it away! Setting rules about who picks the games, who presses the button etc really helps. Also invest in a sturdy case and an expensive screen protector!! We have reviewed a number of apps on here, and there are lists available on line. If you are looking for anything in particular do ask!